$3.29 to $44.99 & FREE Shipping on orders over $59 $35. 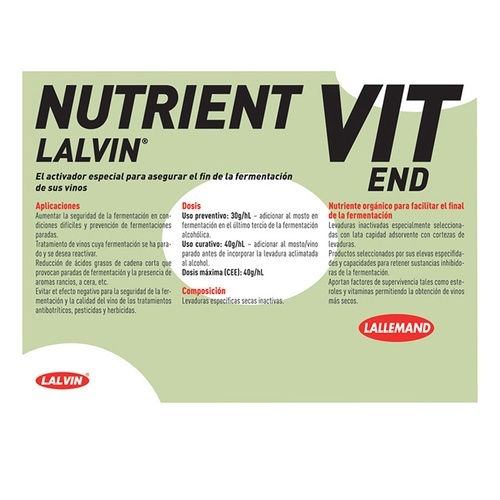 Nutrient Vit End is a new tool for assisting with difficult fermentations. 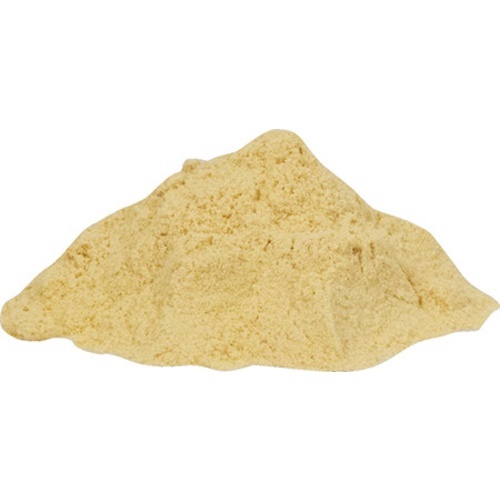 It is a highly specific inactivated yeast, chosen for its high bio-adsorptive properties for binding short and medium chain fatty acids and fungicides. These compounds are produced by yeast during stressful fermentations, and in high enough concentration can result in a stuck ferment. Using Nutrient Vit End during fermentation will minimize the risk of a sluggish or stuck fermentation. It can also be used to detoxify a wine in place of yeast hulls before restarting a fermentation. To Use: Suspend Nutrient Vit End in water, juice or wine and mix well before adding to juice or must. If using with a stuck or sluggish fermentation, allow to settle and rack off prior to restart. This product is also useful for compromised fruit as it will help minimize potential toxins. Suspend Nutrient Vit end in water, juice or wine and mix well before adding to juice or must. For Must/Juice: Use at a rate of 1.25 g Nutrient Vit End per gallon of Must/Juice. For Sluggish or Stuck wine: Use at a rate of 1.5 g Nutrient Vit End per gallon of Must/Juice. Note: when using with a stuck or sluggish fermentation allow to settle and rack off prior to restart. I developed a moldy-like odor during my primary fermentation due to some mold visible on the Malbec grapes used. I am hopeful that this will help absorb the offending cause.